The Laredo South Station agents received a call for assistance on August 22 from DPS troopers who suspected the driver of a stopped vehicle may have been involved in an attempt to smuggle illegal immigrants. 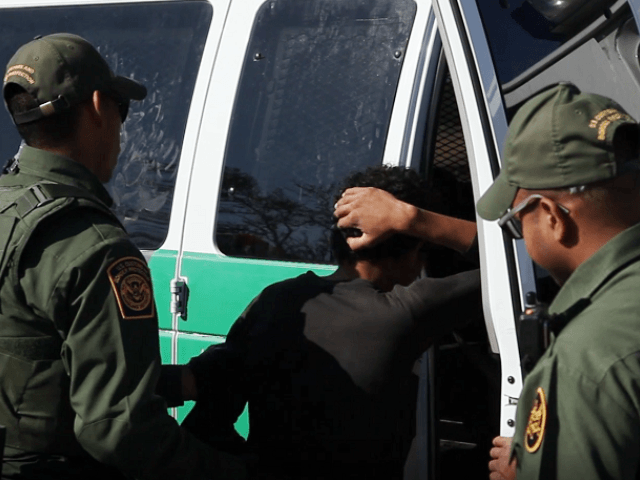 Agents arrived on the scene and conducted an immigration interview that revealed a U.S. citizen and a former DACA recipient were attempting to smuggle two migrants from Mexico, according to Laredo Sector officials. A records check revealed the foreign national’s DACA protection expired in July. After determining the U.S. citizen and the former DACA recipient were allegedly involved in an attempt to smuggle two Mexican nationals, the Border Patrol agents took charge of the case and transported the suspects to the Laredo South Station for processing. The former DACA recipient faces a hearing before an immigration judge. On Sunday, Laredo Sector agents received another call from DPS troopers in Live Oak County, Texas. Agents conducted an immigration inspection on four people stopped by a trooper. The federal agents determined all four of the vehicle’s occupants were Mexican nationals with no legal authority to be in the U.S.
A biometric background investigation reportedly revealed two of the illegal immigrants were members of the Sureños 13 street gang. “The arrest of these gang members and preventing them from entering our country where they are likely to commit crimes is one of many ways the United States Border Patrol keeps our communities safe,” said Laredo Sector Acting Chief Patrol Agent Jason D. Owens. Live Oak County is located on U.S. Highway 281 between McAllen and San Antonio. It is about 150 miles from the Texas-Mexico border.